If you are one of Jumia affiliate partners then you might have been notified regarding the latest changes made by Jumia to implement and track affiliate links on their mobile apps which will surely benefit Affiliate marketers. I criticized Jumia during their Christmas black Friday promo when they turned all the interesting offers and promos to APP only making it hard or probably impossible for affiliate marketers to make money as they used to and apart from that some of Jumia policies clearly shows that they are trying everything possible to suppress the income of their affiliate partners. However, for the first time, I received good news from Jumia indicating that they have made some positive change at least it will help Affiliate marketers to make money through Jumia mobile App. 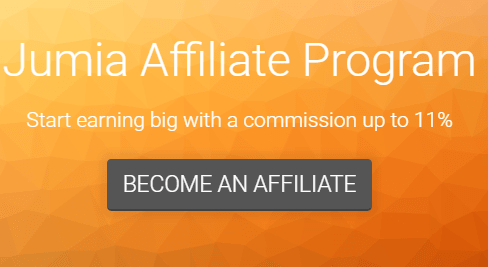 Jumia created well-detailed info on how to generate affiliate code on the new platform which I have shared below for you to understand it and as well learn the step by step guide. In case you don't understand the info on the image about, follow these step by guide below. To get started simply visit https://affiliates.jumia.com/network/sign-in and then sign with your normal Jumia login details, once you are in simply click Offers located at the top left-hand side. Clicking on the offers will open a new page listing African countries that Jumia operates. Select the country you are targetting, you can see Nigeria, Kenya, Ghana, etc. You will see a page containing some headings like Basic info, Event, Creates, Emails, Testing and Tracking, and payout rules. Select creatives. Selecting creatives will show you jumia product categories you can promote on your website or anywhere trackable on Jumia mobile app. You can replace an old link with the new one to make more money but there is one big problem. You will need to promote Jumia main pages and not a product page as you used to generate with the normal affiliate dashboard.